Imagine a Medical ID located on your loved one's seatbelt. It's their voice when the unexpected happens. ...and so is peace of mind. And knowledge of a patient’s health condition can lead to faster, more effective emergency medical treatment. Get a MediPal Seatbelt ID for a loved one, because saving time saves lives. Choose the package that best meets your family's needs and SAVE $$ !! Free Shipping when purchasing 3 or more IDs! When you buy 1 Medipal Seatbelt ID. When you buy 2 Medipal Seatbelt IDs. When you buy 4 Medipal Seatbelt IDs. Other quantities are available! Click here to purchase a different package. Organizations and Bulk orders receive special pricing and an offer to custom imprint your logo onto the Health Profile form. 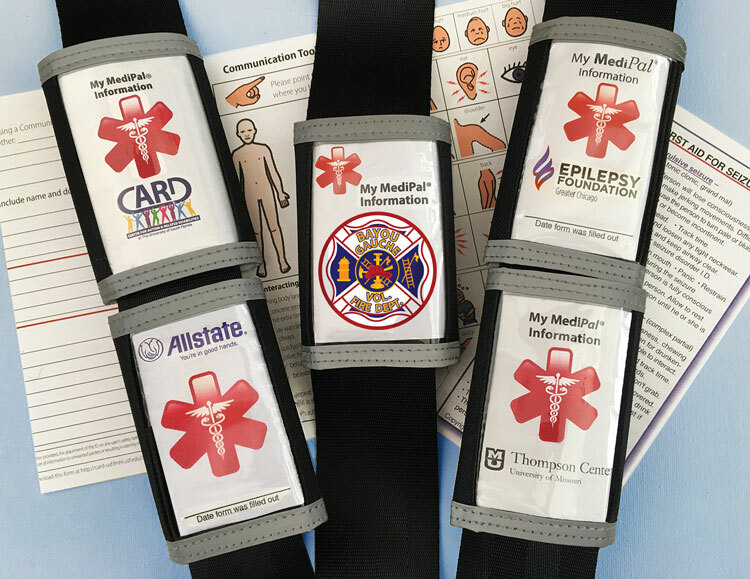 Please click the button below to request a quote if you are interested in ordering 10 or more MediPal Seatbelt IDs. We hope you are happy with each and every product you buy from us. However, if for any reason you are not satisfied, you can return the item(s) along with the original packaging for a no-hassle refund. Please note: this does not apply to custom imprinted items or MediPal IDs that are lost or stolen. We must be notified of your intention to return the item(s) within five working days of the order arriving. We will only refund the cost of the item(s) you send back to us, excluding the original postage and handling fees. You are responsible for any postal charges to return the item(s) back to us. Should be standard equipment on seatbelts and walkers for the elderly as well as individuals with special needs. Having a nonverbal son creates so many little fearful thoughts about him not being able to communicate, but the MediPal ID will really help ease a lot of those worries. It’s absolutely amazing how many people arrive in the Emergency Room with no ID. Emergency staff cannot begin immediate treatment because we know nothing about the patient. Instead, everyone must wait for labs to determine blood type and allergies, etc. 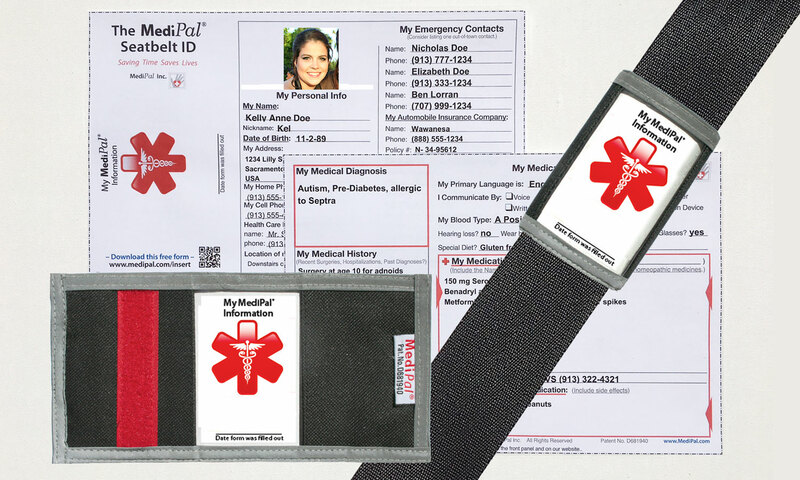 The MediPal ID could help medical and EMT staff everywhere, not to mention all the lives it could help save.